The Queen Anne’s Revenge, the flagship of the notorious English pirate Edward Teach, aka Blackbeard, has been lying on the ocean floor off the coast of Beaufort Inlet in the Inner Banks of North Carolina since it ran aground in May 1718. It was discovered in 1996 by Intersal Inc., a private research firm that has searched for several shipwrecks under the oversight of the North Carolina Department of Cultural Resources (NCDCR). The wreck and all artifacts belong to the state and in 1997 NCDCR archaeologists began a long-term project of exploring, mapping and documenting the debris field. 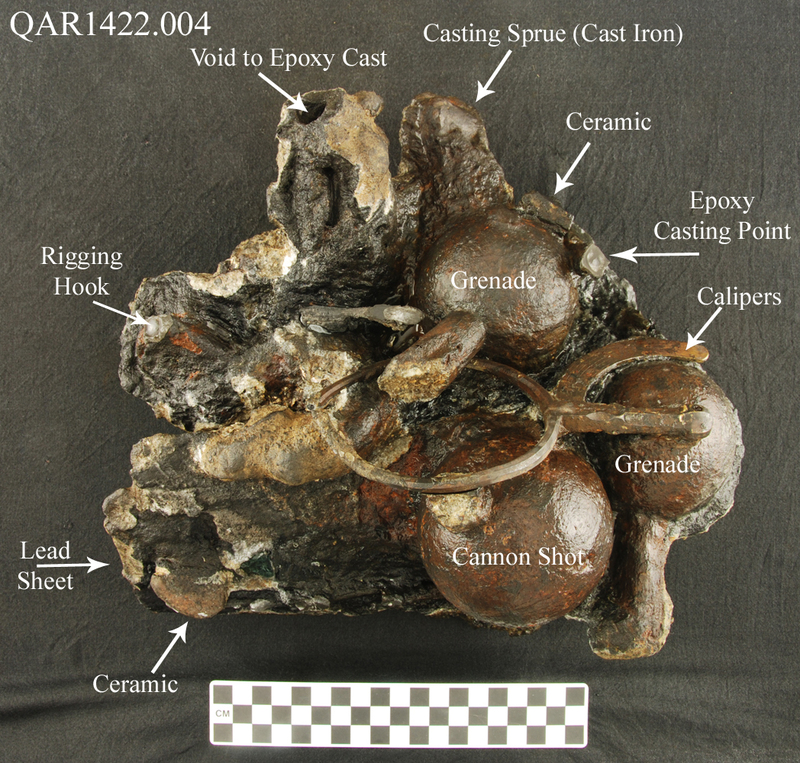 Starting in 2006, the NCDCR’s Underwater Archaeology Branch added a program of artifact recovery to the ongoing study of the wreck site. Fifteen years after the initial discovery, the program was able to confirm that the wreck was indeed that of the Queen Anne’s Revenge, a certainty they had scrupulously avoided expressing because none of the artifacts offered a smoking gun, so to speak, like the name of the ship. 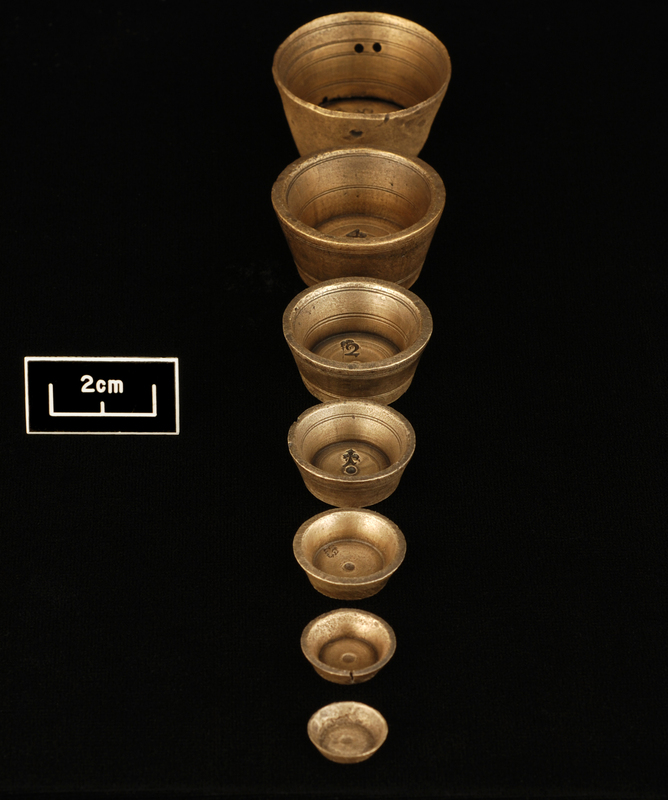 The large size of the ship, the great number of loaded cannons of different makes found, French artifacts and depth markings on the stern (it was a French slaver before being captured by pirate Captain Benjamin Hornigold in 1817 who gave it to one of his crewmen, Edward Teach, to captain), a date of 1705 on a ship’s bell: all the evidence added up to this being the QAR. More than 280,000 pieces have been brought to the North Carolina Maritime Museum in Beaufort for conservation and display, but that’s just a third of the estimated total. Now the Underwater Archaeology Branch has announced that they plan to recover the entire wreck, from dishes to weapons to the ship’s planks, by 2014. “The project calls for the recovery of all the materials. Everything. All the weapons, all the bits of the ship, all the personal items. Everything. If it’s down there, it’s coming up,” project leader Billy Ray Morris told FoxNews.com on Wednesday. 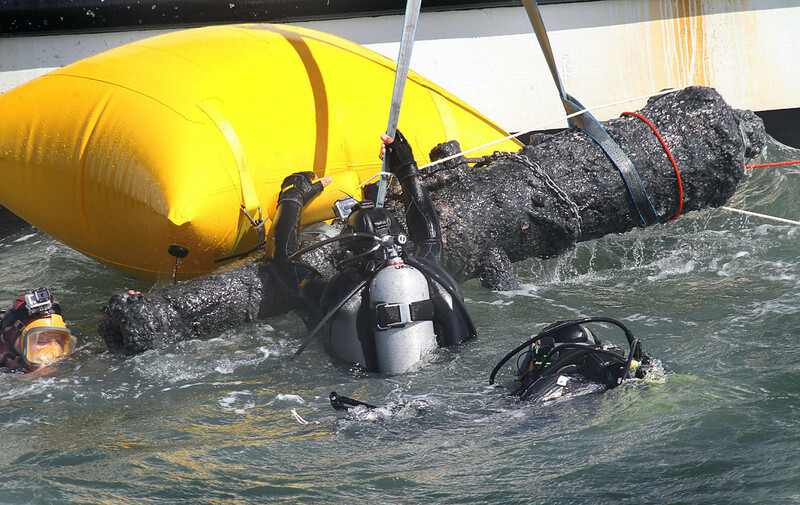 Morris and a group of 14 marine archaeologists, technicians and restoration experts from the Underwater Archaeology Branch of the N.C. Department of Cultural Resources believe the Queen Anne’s Revenge itself is a treasure trove, a unique repository of history from centuries ago. They plan to salvage the entire remains of the pirate ship by 2014. Cannon by cannon, plank by plank. This will be a uniquely rich source of information about life on an 18th century pirate ship. 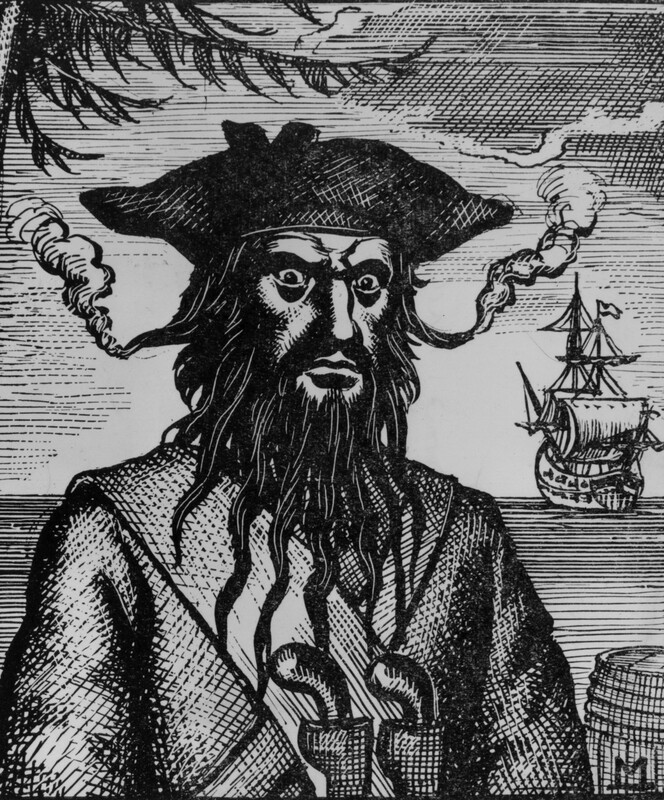 There aren’t any shiny chests of treasure to hog the spotlight (Blackbeard and his crew had time to unload high value items after the ship ran aground which seems to have been a deliberate choice). It’s a treasure trove of social history with the additional cachet of association with and use by one of the famous pirates ever. Check out the Queen Anne’s Revenge Project website for more information about the wreck, including a killer interactive site map, pictures (small ones, tragically) of the artifacts and a regularly updated blog.